The Beauty of a Dual Cowl Phaeton? The Power of a McLaren? The Grace of a Rolls Royce? For the ultimate automotive indulgence, visit The Last Detail where our driving principles have always been our promise to L.E.A.D. LISTEN to your concerns and desires. DELIVER a product that exceeds your expectations. We sell, service and restore luxury and classic vehicles for the Midwest's most discriminating automotive enthusiasts. We understand that you have many choices when selecting a facility in this industry. 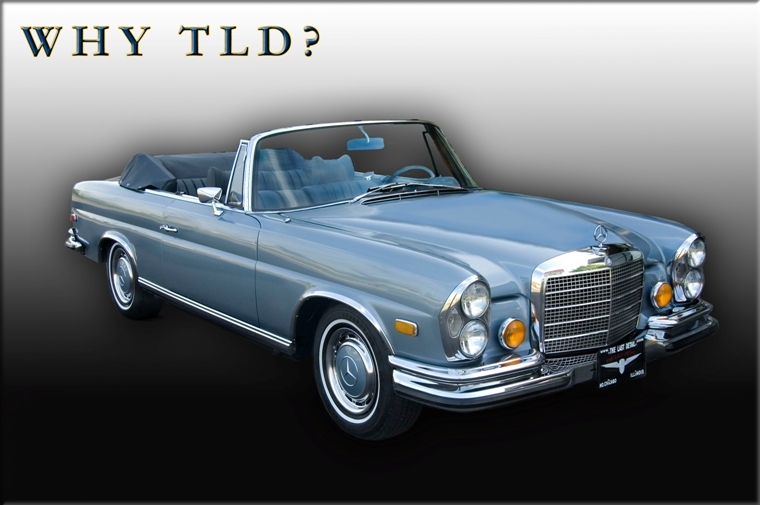 That is why TLD has made convenience, unsurpassed customer service and superior workmanship our number one priority. The Last Detail has two Chicagoland locations providing ease of access to our award winning services. Looking for the car of your dreams? As a result of our strict standards we represent less than 20% of the vehicles offered to us for resale. When locating a vehicle, our comprehensive inspection, evaluation and appraisal services weed out sub-standard units. You can trust that an automobile that does make the final cut has been fully sorted out! Our Service Facilities are held to those same strict standards. We have seen many restorations over the years, many of which eventually end up in our shop to be completed or redone. Our "Do it Once, Do it Right the First Time" motto assures that a restoration completed at TLD will still look showroom new 20 years from now. Our location and appraisal services have been sought out by many hobbyists and investors as well as some of the nation's most influential collectors and estate liquidators. Our knowledge and expertise can help guide you through any process. Remember, whether servicing, buying or selling, we are the one stop destination for all of your automotive needs, Right Down to...The Last Detail!